Leather is an authentic natural product. Depending on the finishing coat, leather is generally user-friendly and easy to maintain. 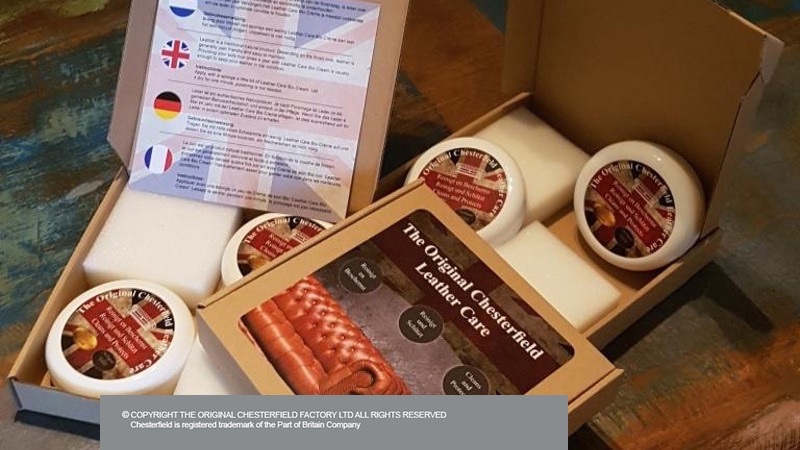 providing care four times a year with Leather Care Bio Cream is usually enough to keep your leather in top condition. 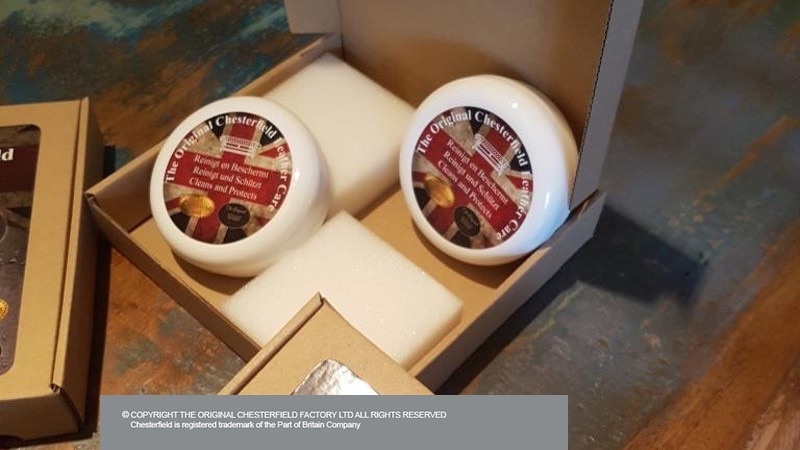 The Leather Care Bio Cream (100ml) is packaged in a kit and should be applied 4 times a year on your leather. The Bio Cream is a leather cleaner and leather protector in one package. An effective leather cleaner, it has a nourishing and protective effect. 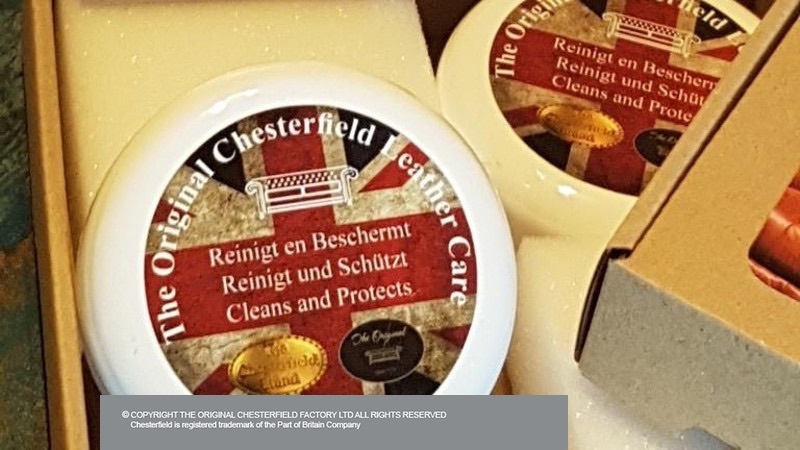 The Bio-Cream is self-polishing so brushing or unnecessary polishing is not needed. Colorless and thus suitable for all leather colours. With a drying time of about one minute, it does not stain and is not sticky. Stains are easy to clean! Provides optimal protection against oil, water and grease based stains. 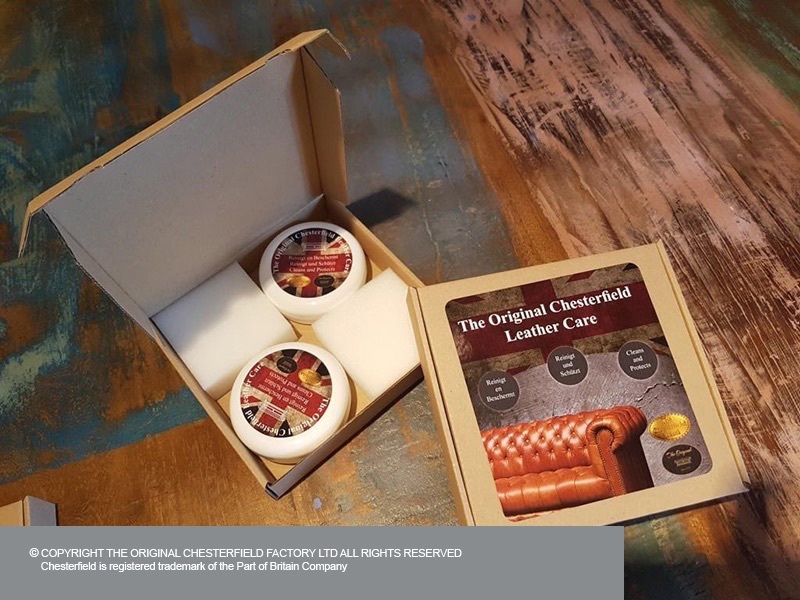 The Original Chesterfield Leather Care Bio Cream is specially developed for use in Chesterfield furniture but also for other leather items. Apply a little bit with a sponge. Leave to dry for one minute; extra polishing is not needed. It's as easy as that!